Please note: Matrix Maker Plus software is downloadable software delivered via email within 2-3 days of receipt of order. FREE 2 Week Trial and Software Update! Example 1: If you require only 1 single user licence, purchase 1 x 8795 (1-4 licences each). Example 2: If you require 3 single user licences, purchase 3 x 8795 (1-4 licences each). Example 3: If you require 8 single user licences, purchase 8 x 8797 (5-9 licences each). Example 4: If you require 22 licences, purchase 22 x 8799 (20-49 licences each). Example 5: If you have already purchased a number of single user licences from Inclusive Technology and require further licences, then purchase the licences within the relevant price bracket i.e. you already have 6 single user licences and require 5 further licences, purchase 3 x 8797 (5-9 licences each) and 2 x 8798 (10-19 licences each). 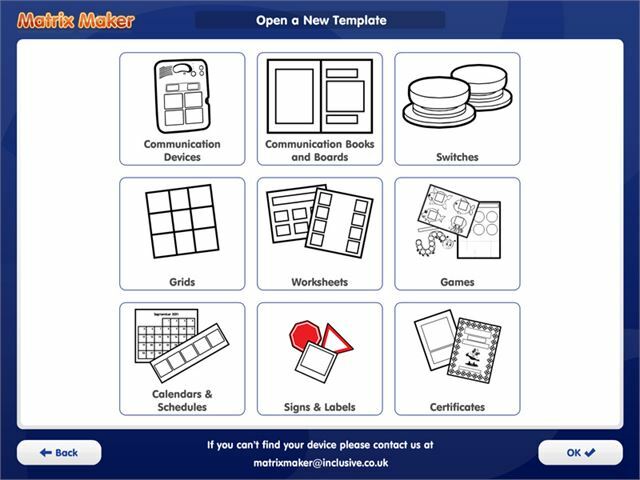 You can also purchase Matrix Maker Plus as a ‘home user’ licence, which enables you to use it on a home computer. 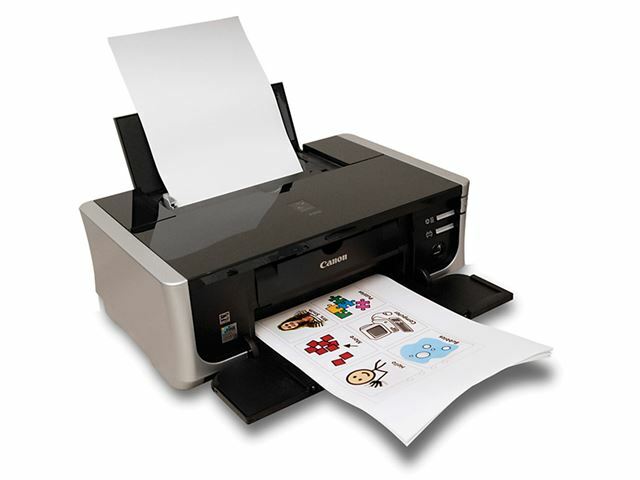 Matrix Maker Plus is just £129 when you purchase it along with any communication device with a value of £100 or over. 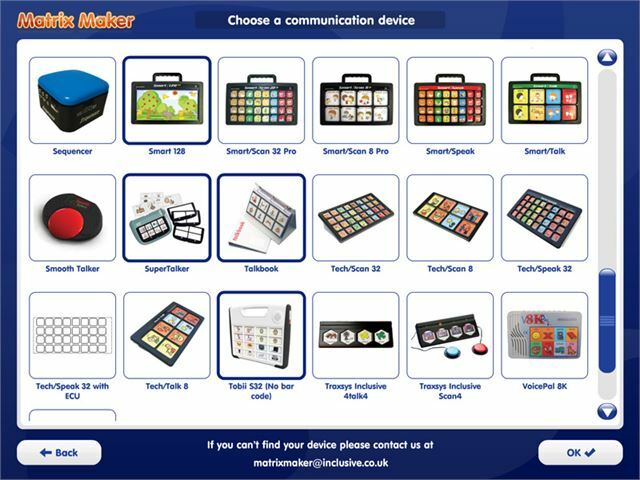 Matrix Maker Plus is just £129 when you purchase it along with any communication device with a value of £100 or over. Excellent alternative to the usual! 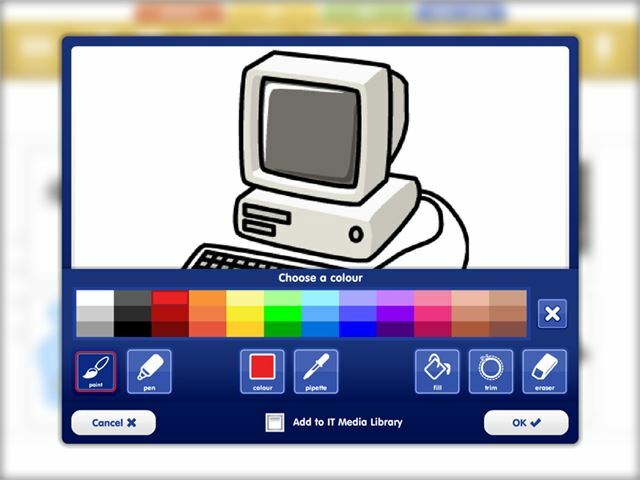 Modern, bright, colourful, realistic symbols and pictures. Hundreds of templates for all devices, so no mucking around with box sizes and layouts. So simple to use that learners can be involved in creating their schedules and communication books. Drawbacks are inability to change font; that you MUST use an existing template, you can't use your own and you can only have one symbol per box, you can't overlap. Have your say and review this item by clicking here. Please complete the form below to sign up for the Red Alert Newsletter to receive information about new updates, please make sure you correctly fill in all the boxes marked with a *.